We Are Them. They are Us. "There comes a time when silence becomes betrayal." You know those soul-tugging pulls I write about? They led me to one of the most magical places on Earth. And one of the toughest: Norcross High School in Gwinnett County, Georgia. It was there, alongside some of the most amazing human beings I've ever met in my life, I awoke to so many things. It was there, I looked into the eyes of Dreamers for the first time. 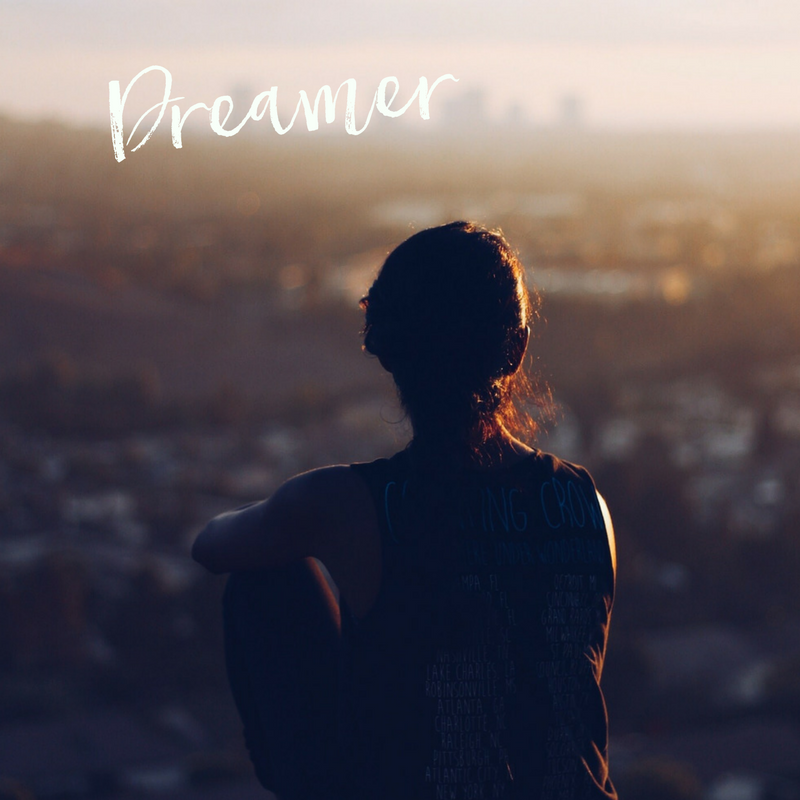 During my six years in the classroom, Dreamers taught me so much about life. About how we choose to show up for ourselves and our families when things are hard. I'm pretty confident that they - and all of ‘my kids’ taught more than I ever taught them. I had the privilege of working with mostly freshman, as I taught 9th grade biology. When my first class became seniors, I awoke to another set of challenges Dreamers were forced to rumble with — what comes next. Four years after M, let’s call her, crushed it in my freshman biology class, she came by my classroom to share the news: graduation. She had made it - the first in her family to do so - she was graduating, with honors + AP classes under her belt, nonetheless. A decade later, and I still light up with pride and get the chills just thinking about it. It was a hard battle for her to get that far. We were both so proud. During all four years of high school, she worked the overnight shift to help provide for her family. Exhausted, she showed up anyway. English was not her first language - biology is tough enough for so many students, I was totally unprepared in my early years as a teacher for just how challenging it would be to work through additional language barriers. And, together, we pressed on anyway. She was initiated into a gang in elementary school - not by choice - making life that much harder. And, she was one of the most hard working, compassionate students to ever sit in my classroom. On a good day, a hotel room on the 'tough' side of town was her home. And, she showed up anyway, never once complaining about what she had to endure - what she had to witness. She didn't remember her journey here because she was so young. When I asked her why her family made the decision to come, she told me her father was encouraged to come to Atlanta to help build venues for the 1996 Summer Olympics. I’d later discover that this was a trend. Many workers were ‘encouraged’ to come help build the venues - promised work and a better life - while authorities turned the other way. A story that would become all too familiar. So, her family left everything they knew - and made the trek. For a better life. And now, here she was days away from graduation with no plans. No college even though she wanted to be a nurse. No official job because she had no social security number. I threw out possibility after possibility - unable to accept that this could be her reality. After all that work. After all that sacrifice. Just work hard and follow the rules, and success will be yours - a belief deeply woven into my white, middle class roots. A belief now challenged by the stories and souls standing in front of me. These were my kids. This wasn’t fair. But, this. What did this mean? For her. For all these kids. My heart shattered. I was at a total loss. I felt the deepest sense of helplessness. All this courage. All this resiliency. All this perseverance. Why can't she have a chance? I lost sleep over it. Still do. Our conversation - our relationship - cracked me wide open to a world I didn't fully understand. I didn't get it until I looked into her eyes - and truly listened to her story. And, that only left me with more questions. What are our shared values? M graduated alongside her classmates, with honors. After graduation, she went back to her overnight shift, afraid to use her Brave Voice for fear of repercussions, stuck in this space of uncertainty - her ability and gifts completely untapped. And. If there’s anything we’ve learned from Dr. Martin Luther King, Jr. - it’s what COURAGE looks like. I know what is easy. Blocking our ears so we can't hear their stories. Insulating ourselves. Blaming. Judging. Standing in our righteousness. Dehumanizing. Turning them into the OTHER. These are our children. These are our neighbors. These are our fellow humans. This isn’t an US versus THEM issue. I don’t have all the answers. I’m still learning + growing + stretching. And I’ve learned a lot along the way. Especially when I stop to listen. We want to simplify, when it's not so simple. Fear drives us to dehumanize our fellow humans. To keep our distance. To clump + group + sort. To rationalize our point of view as RIGHT. And the only way. We see what we believe. And fear wants us to insulate. To protect us from feeling pain. Because, not turning away is HARD and MESSY. And there are no clear cut answers. We see struggle. And hope. We see kindness. And compassion. We see grit. And courage. And if we listen long enough, we’ll see our own selves and our own stories. We’ll see that we are more alike than we are different. We’ll realize: We are them. They are us. It was inside the walls of Norcross High School I awoke to many things. It was here I felt my whiteness, for the first time in my life. Standing in a sea of beautiful color. It was here I gained the critical awareness I needed to own my privilege. Layers of privilege I continue to unpack. It was here I began to understand the impact of poverty - a world that cannot be captured in the words of a sociology book. And the importance of creating safe spaces. It was here I gained the critical awareness that colorblindness IS a form of racism. It was here I learned to truly listen. It was here I saw the transformative power of LOVE. My kids taught me so much about life. I miss the classroom. Really, I miss the relationships. I still call them my kids - even though many are married now, with their own families. As for M. I'm not sure what she's up to now. They are my kids. They are our kids. We cannot betray them by staying silent. Change happens one step at a time. I challenge all of us to choose COURAGE in the face of fear. Because, we’re stronger than we think. I challenge all of us to pause, breathe and dive underneath the judgement and righteousness and deeply held beliefs - to challenge this notion that there’s an US and THEM so we can begin to really see our sisters and brothers.